Mr Dance's 20th Anniversary Gift - Free dance lesson & free dance party every Tuesday in April. Free admission on April 5, 12, 19 & 26 from 7 pm to 11 pm. April 4, 2011 - PRLog -- Experience the fun of social ballroom dancing and attend free social ballroom events on April 5, 12, 19 & 26 at Astorino's Hall, 1739 Venables Street, Vancouver BC. Mr Dance offers 4 free dance lessons in the month of April for the value of $40 per person. April 5 - Samba, April 12 - Rumba, April 19 - Tango, April 26 - Cha Cha & Line Dance. Each dance lesson will follow with the free dance party until 11 pm. Join us every Tuesday as we celebrate Mr Dance's 20th Anniversary with free dancing for everyone. Special Anniversary Party coming on Sunday, May 15, 2011. If you would like more information call 604 436 4436 or email: info@MrDance.ca. 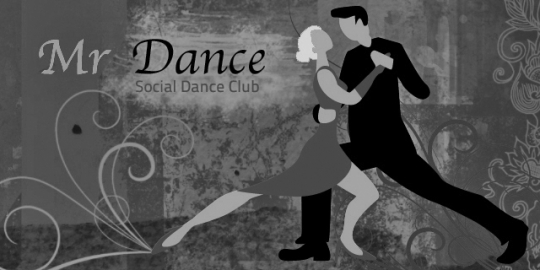 Mr Dance Club provides social ballroom dance events every Sunday & Tuesday at Astorino's Hall, 1739 Venables Street in Vancouver, BC. Throughout the years, Mr Dance has been featured on television as well as in newspaper articles. It has appeared on CBC television’s Living Vancouver with Jennifer Burke on an episode entitled “Salsa for Love”. Newspaper articles have included: “The Drive Dance” by The Vancouver Courier and “So you think you can dance? Drop in” by The Vancouver Province. Mr Dance continues to enrich the quality of life in the community by inspiring people to dance for fitness, fun and romance. The dancing lessons at Mr Dance offer people the opportunity to develop a greater sense of worth and achievement that comes naturally with learning and mastering new dance skills. For baby boomers that are looking for dance experience—Mr Dance may be just the ticket.